- Over the years Modernity has sold many significant pieces not only to the foremost museums in the US, but also in Europe and of course to important Swedish institutions, says Andrew Duncanson, director and owner of Modernity. Ever since her childhood, the architect Han Schröder, was very fond of the Zig Zag chair. She grew up in the famous Schröder house in Uutrecht, Holland, that her mother Truus Schröder commissioned Rietveld to design 1924. 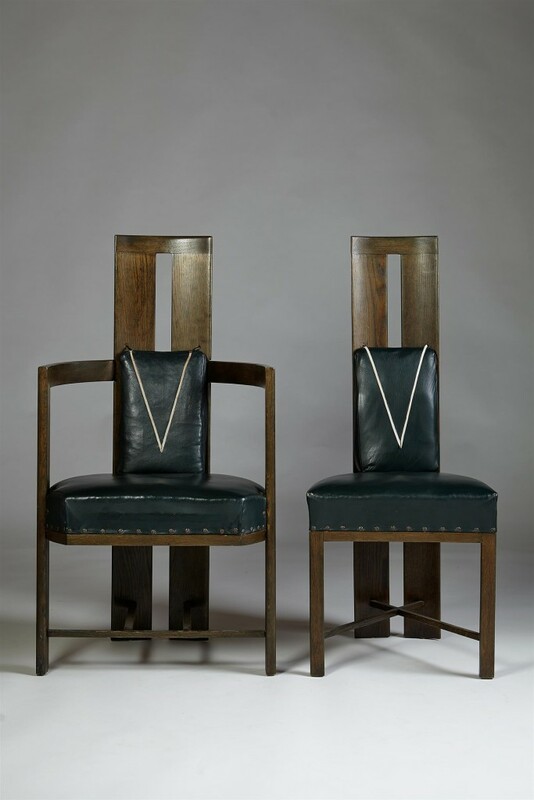 These chairs were an important part of the Schröder house, and when Han Schröder decided to move to the US she commissioned Rietveld’s carpenter Gerard van de Groenekan to make a set of six chairs. She used them in her home in the US and was close to Rietveld until his death, also having been his personal assistant at his architectural office. 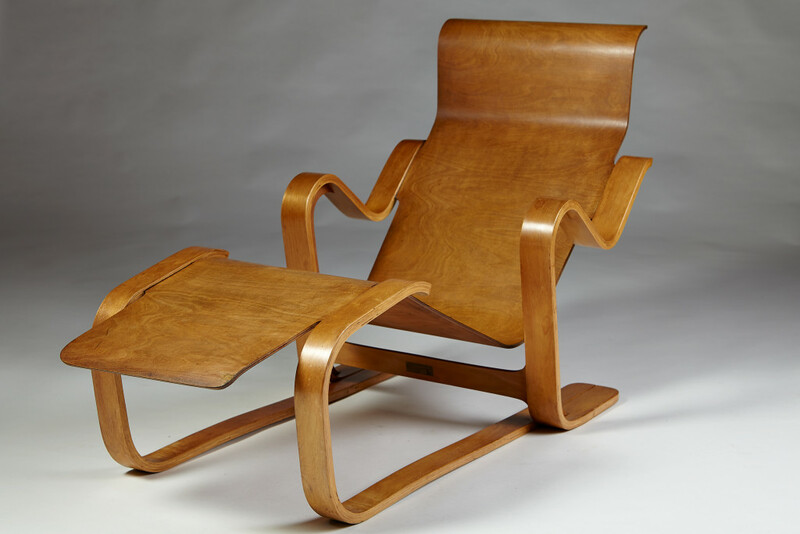 After Han Schröder’s death Modernity purchased several pieces directly from her estate, and also the set of six Zig Zag chairs. Four were sold to an international collector, one to a Swedish collector, and the final one was purchased by the Milwaukee Art Museum. - It is always a pleasure to sell to museums as they generally acquire the most important pieces with a great provenance, explains Andrew Duncanson. Another very important museum is of course the Museum of Modern Art (MoMA) in New York that has over the past few years acquired two very typical pieces of Scandinavian design: The Egg chair by Arne Jacobsen and the Halyard chair by Hans Wegner. The Cooper Hewitt Museum, the Museum of Art & Design, both in New York, have also acquired furniture and jewellery from Modernity. 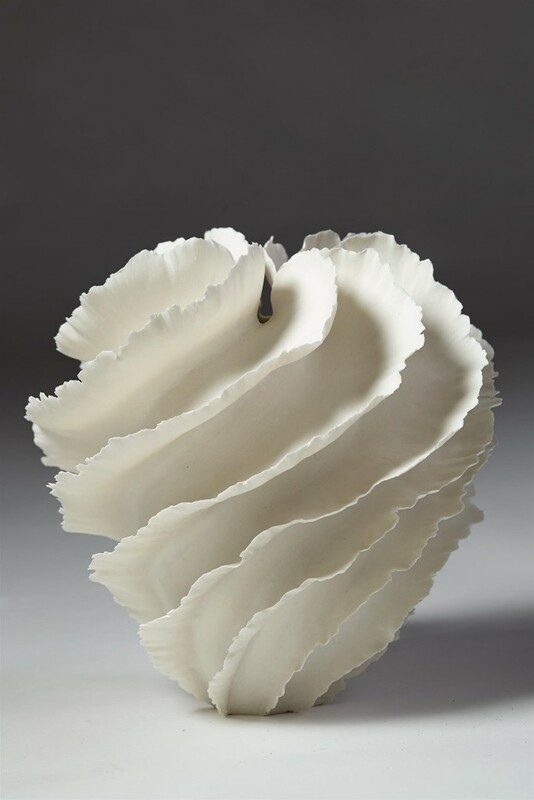 The Corning Museum of Glass, the Los Angeles County Museum (LACMA), the Philadelphia Museum of Art, and the Wolfsonian in Miami have purchased pieces over the years. Some of these museums are returning customers. - Many museums have learned over the years that we have significant pieces by well-known Scandinavian designers, of the best quality. They contact us from time to time, and this is of course flattering and a seal of approval that is very rewarding, says Andrew Duncanson. 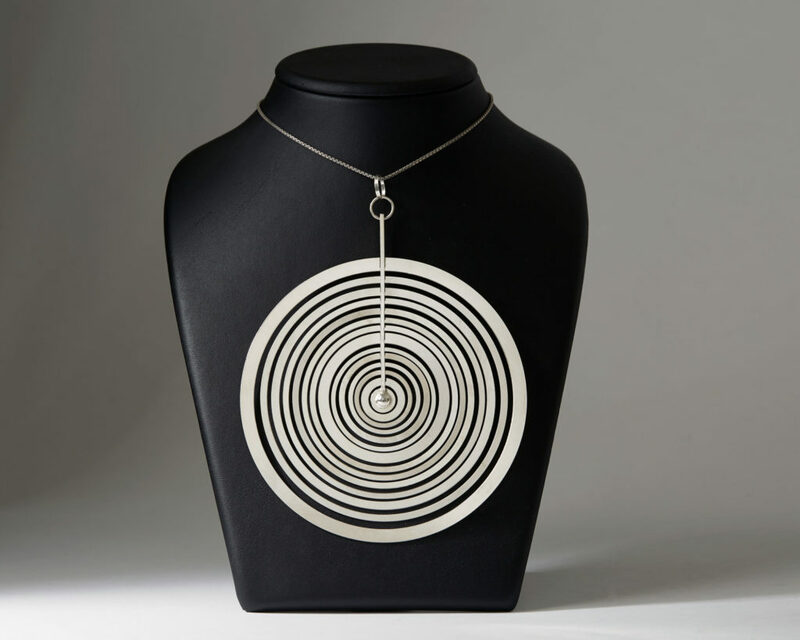 Pendant “Full Moon” designed by Tapio Wirkkala for Kultakeskus, Finland, 1972. Sold to the National Museum of Scotland. 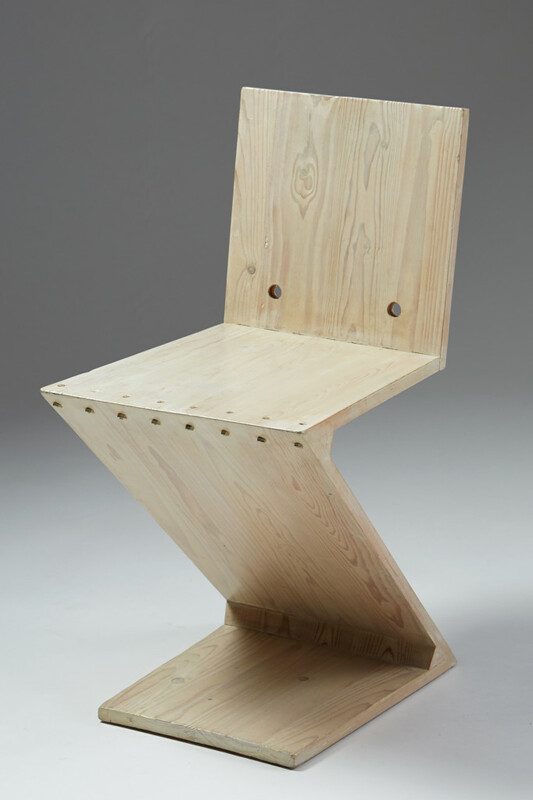 Zig Zag chair designed by Gerrit Rietveld, Holland, 1932. Sold to the Milwaukee Art Museum, USA. 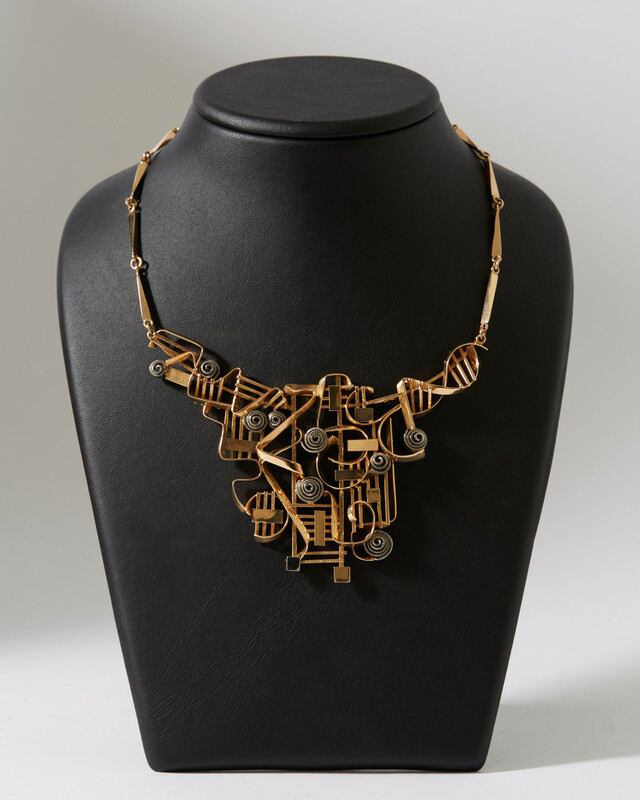 Necklace designed by Claes Giertta, Sweden. 1966. Sold to the National Museum of Scotland. 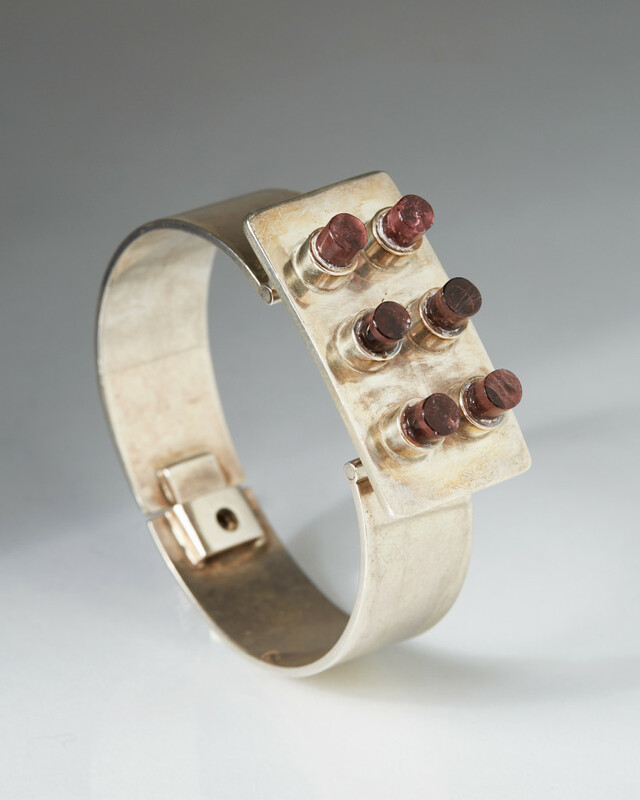 Bracelet, designed by Bent Knudsen, Denmark. 1960’s. Sold to National Museum of Scotland. 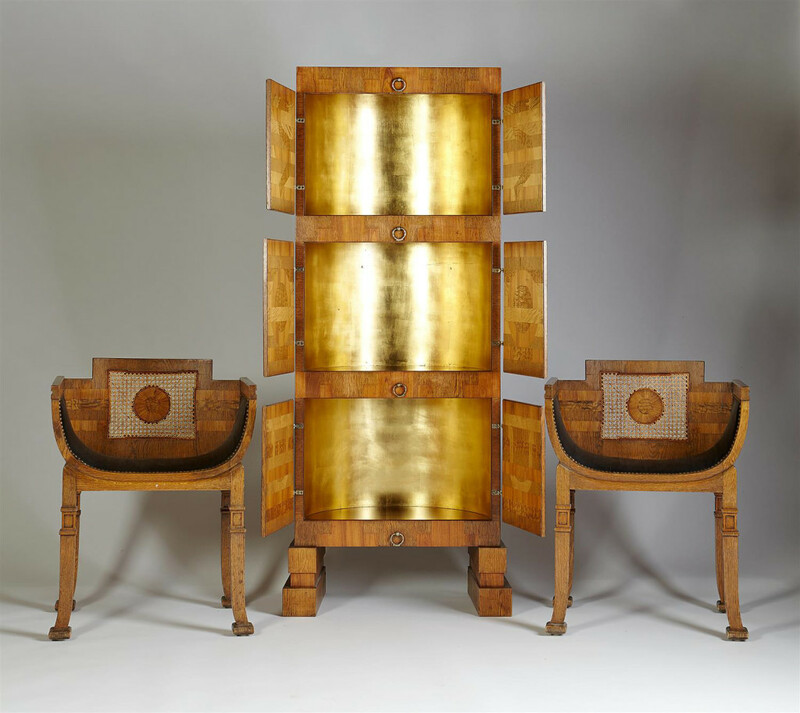 Cabinet and armchairs by Carl Hörvik for the Swedish pavilion at the Paris World Exhibition 1925. Sold to the National Museum, Sweden. Long chair by Marcel Breuer, England, 1936. Sold to Cooper Hewitt Museum, New York. 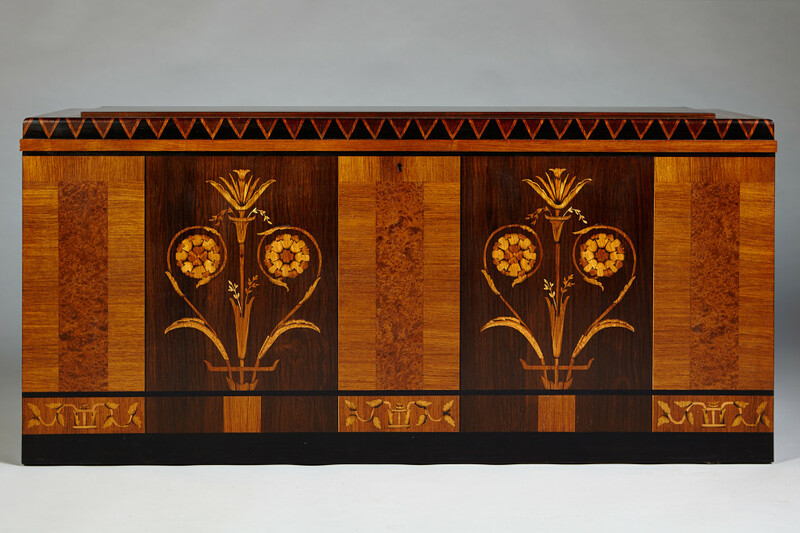 Chest by Carl Malmsten, Sweden, 1928. Sold to the Wolfsonian Museum, Miami. 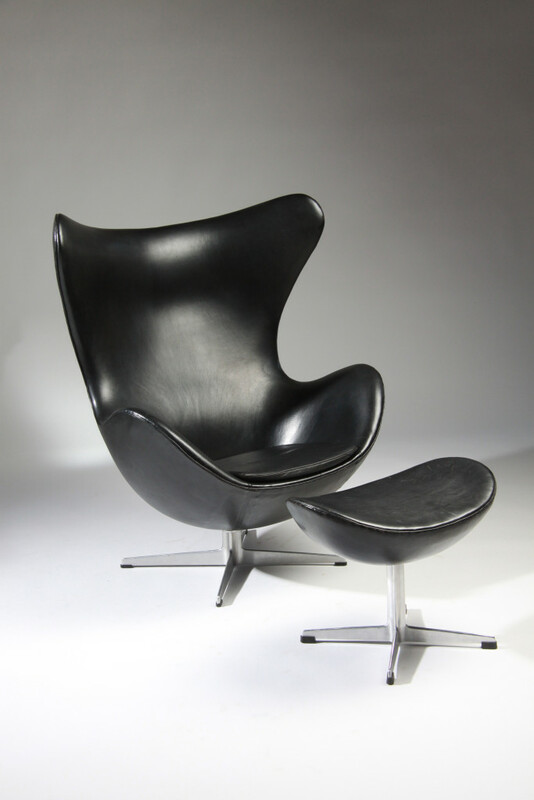 Egg chair and ottoman by Arne Jacobsen, Denmark, 1958. Sold to Museum of Modern Art, New York. 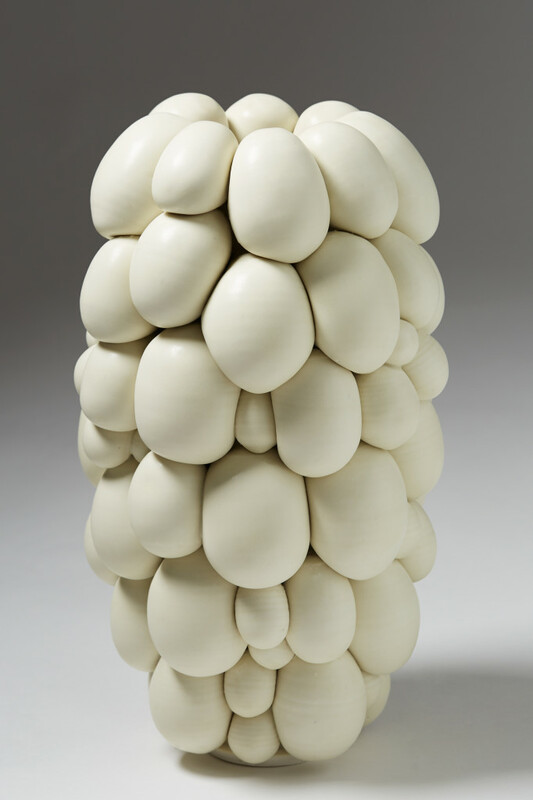 Vase, “Crowd”, designed by Mårten Medbo, Sweden, 2015. Sold to the National Museum, Sweden. Chairs by Eliel Saarinen, Finland, 1907. Sold to the Los Angeles County Museum. 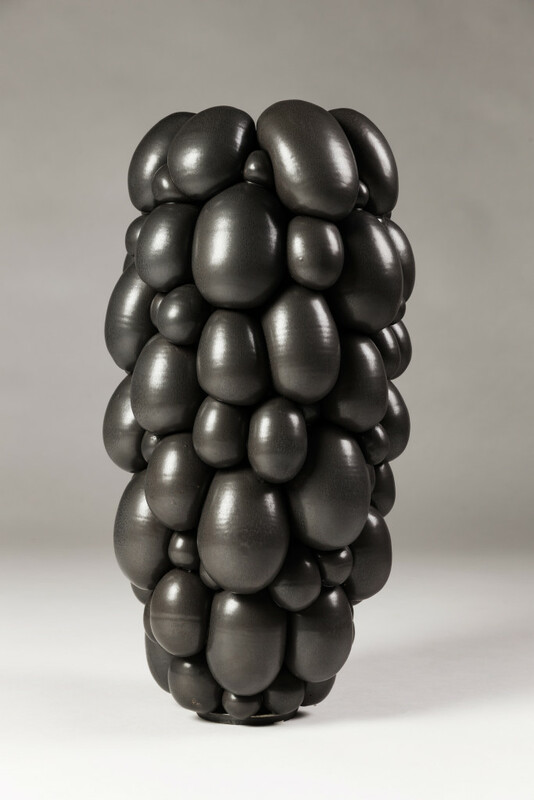 Vase by Sandra Davolio, 2014, Denmark. Sold to the National Museum, Sweden. 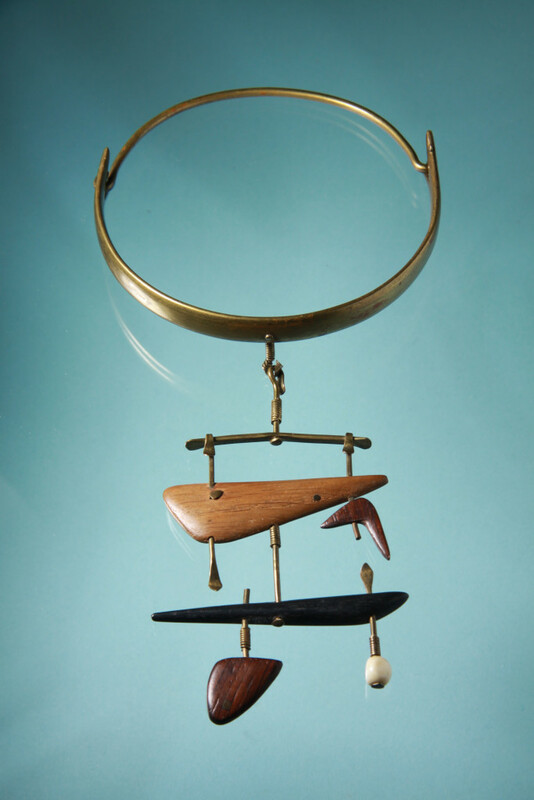 Necklace by Torun Bülow-Hübe, Sweden, early 1950’s. Sold to the National Museum, Stockholm. Glass bowl by Alf Wallander, Sweden, 1908. 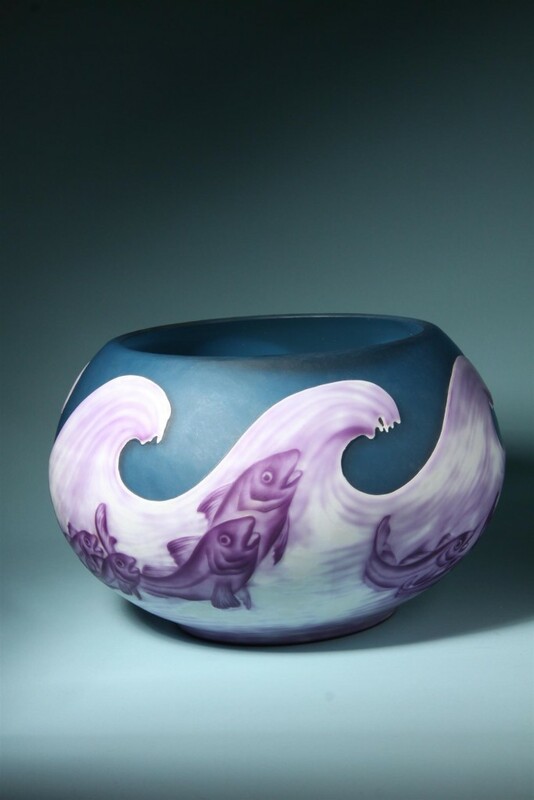 Sold to the Corning Museum of Glass, New York. 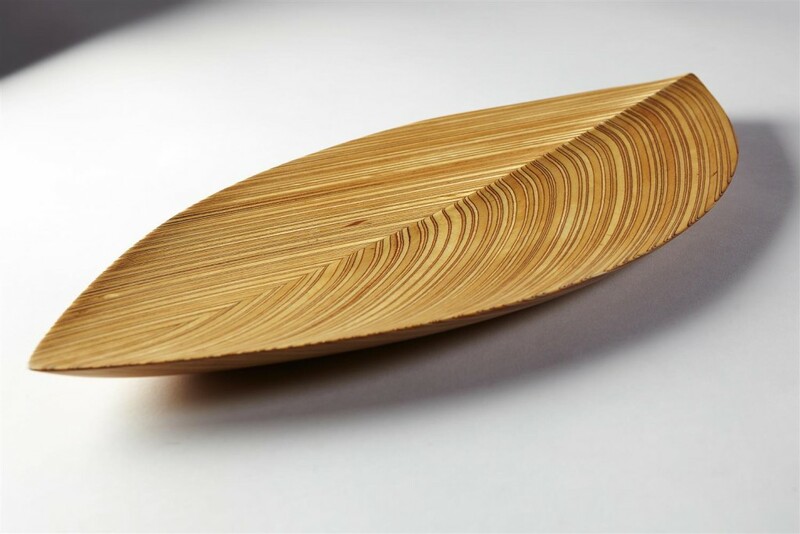 The Leaf dish by Tapio Wirkkala, Finland, 1954. Sold to the Philadelphia Museum of Art. 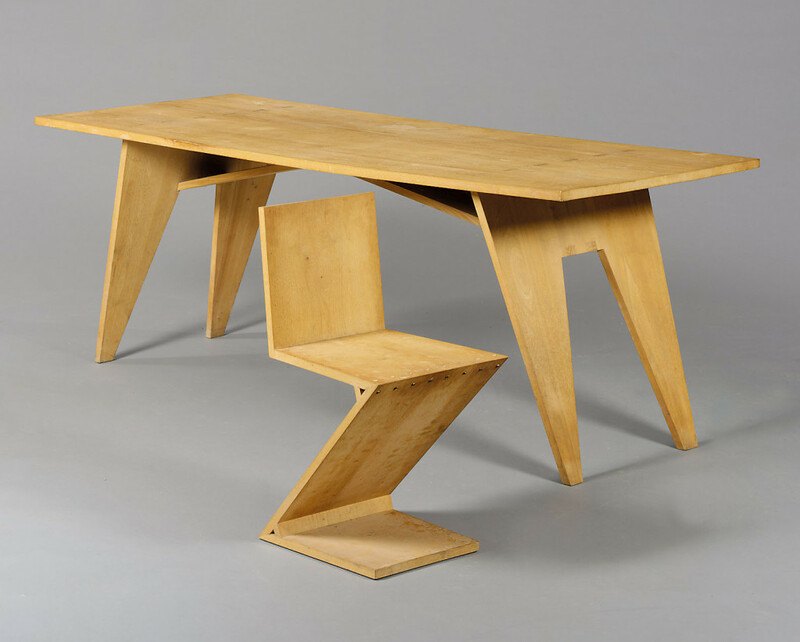 Zig Zag chair by Gerrit Rietveld, Holland, 1932. Chair sold to Museum of Decorative Arts & Design/Kunstindustrimuseet, Norway. 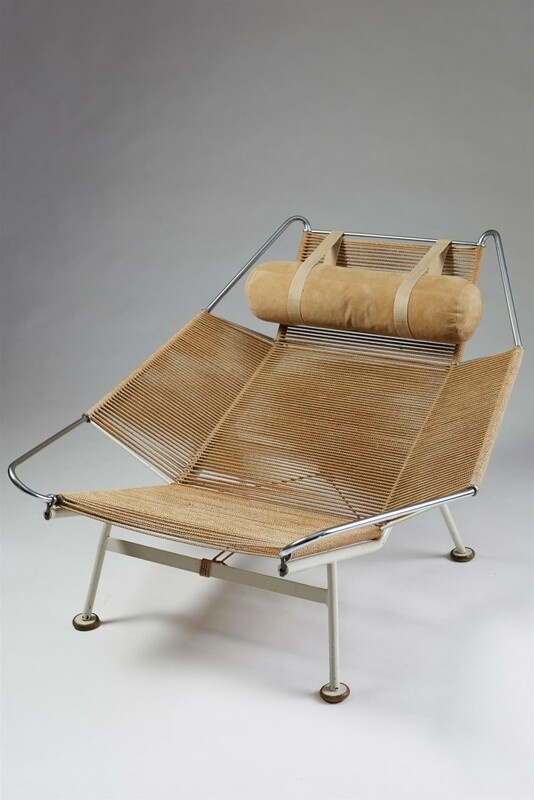 The Halyard chair by Hans Wegner, Denmark, 1961. Sold to Museum of Modern Art, New York.